There are some people who are ‘anti-colouring-books’, believing that a more creative starting point for children is a blank piece of paper. I’m not one of those. Colouring books have a place on the arts and crafts shelf – there’s a sense of satisfaction in completing pictures, consideration of colours and significantly the need to control the pencil or crayon – an important skill for preschoolers to learn. 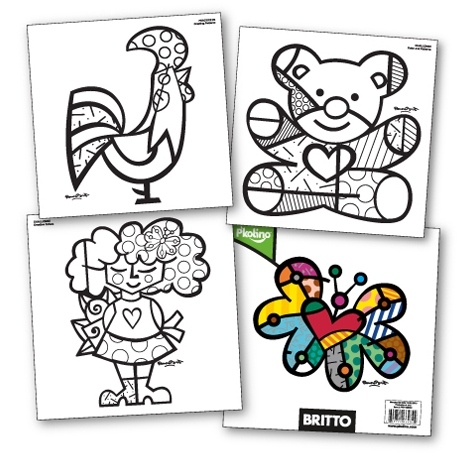 P’kolino have just released a collection of art supplies inspired by pop artist Romero Britto. 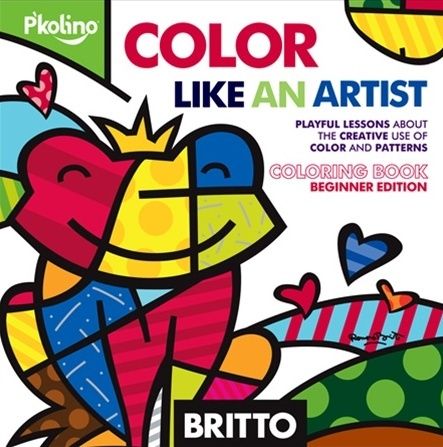 Britto’s bright colours, patchwork shapes and bold designs translate perfectly into a colouring book that will have preschoolers looking at colour and patterns in new ways. Color Like an Artist includes bold designs waiting for some inspired splashes of colour, detailed patterns to tackle and colourful stickers of some of Britto’s most famous pieces. When complete, upload drawings and paintings on the P’kolino website to share with the world. Of course, every artist needs the right tools. P’kolino have also released collections of felt tip pens, crayons and finger paint in suitably bright colours. 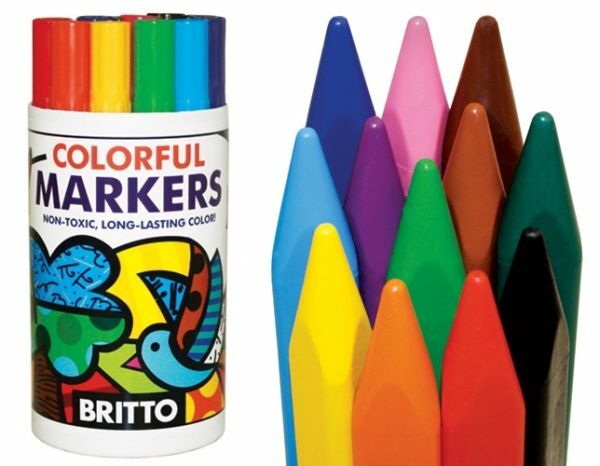 P’kolino’s Britto range launched in mid-2011 in the USA – we’ll keep you updated on Australian stockists.